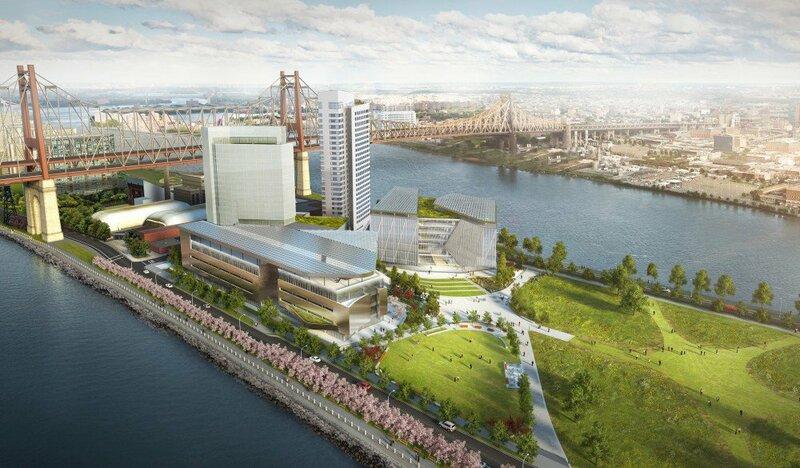 Renderings have been revealed for Cornell Tech’s Verizon Executive Education Center (EEC) and hotel proposal on its Roosevelt Island campus in New York City. 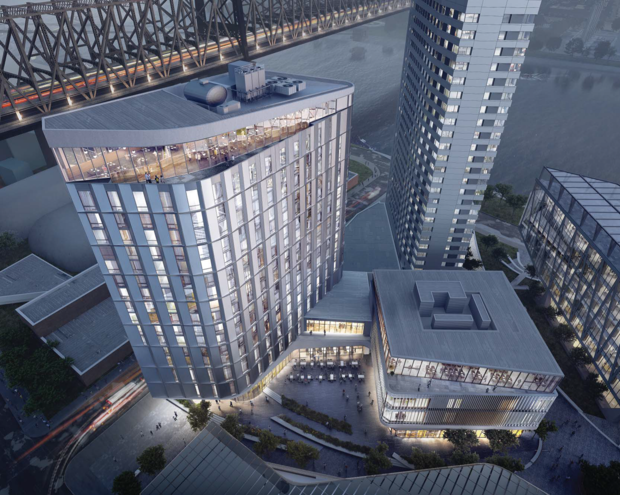 While the center and hotel—designed by Norwegian-American firm Snøhetta—are still pending approval from the Public Design Commission, Cornell Tech aims for the two buildings to be built by 2019. 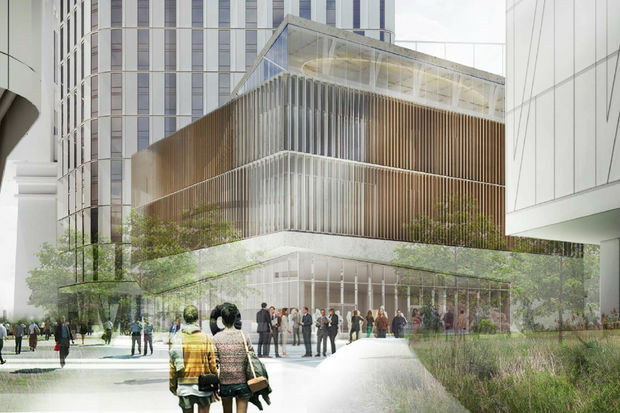 The EEC will contain event and teaching spaces. 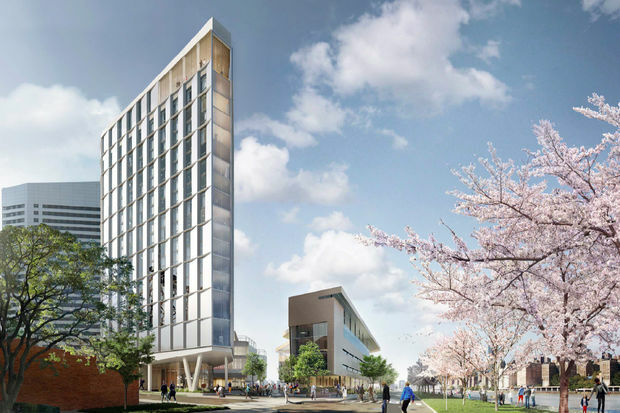 The former will cater to as many as 300 people through numerous conference rooms, a buffet lounge, and four classrooms capable of accommodating up to 75 students. 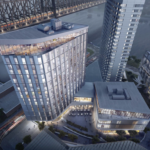 Its facade comprises tightly spaced timber and aluminum mullions with glass fenestration dominating the top and bottom levels. 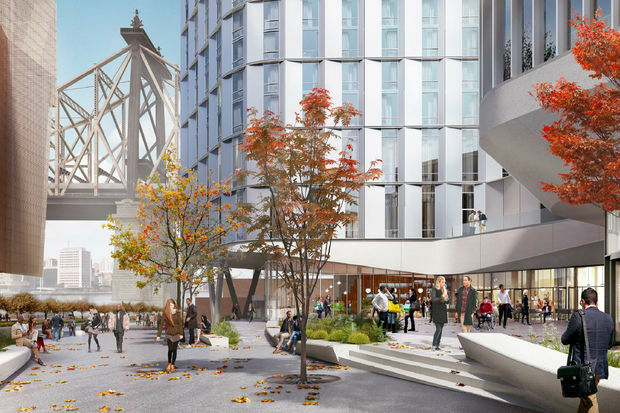 The adjacent hotel—complete with a cafe, restaurant, rooftop lounge, and 195 rooms—will link up with the building through a shared hall. 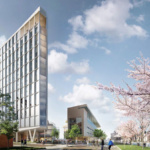 As for the campus itself, parking facilities will not be available. 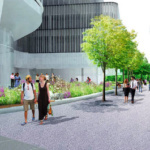 Pedestrian walkways, bicycle lanes, and bicycle storage facilities will comprise its circulation. 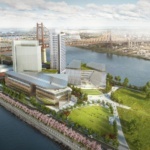 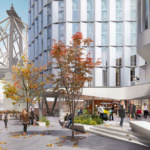 According to DNAinfo, Cornell Tech’s Senior Director of Capital Projects, Andrew Winters, said he views the EEC and hotel as “the front door for the campus.” The two buildings are the final part of “Phase One” (of three) for Cornell Tech’s Roosevelt Island plans which are penned for completion in 2043.